InRedox will exhibit at Materials Research Society (MRS) 2016 Spring meeting in Phoenix, on March 28-April 1. 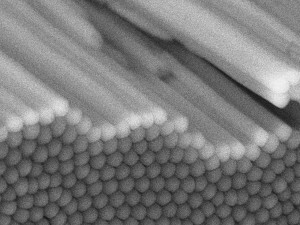 Our team is exited to showcase our expanding Nanofabrication Toolbox, now featuring Anodic Titanium Oxide (ATO) products, which complement a full spectrum of Anodic Aluminum Oxide (AAO) wafers, films and nanotemplates. 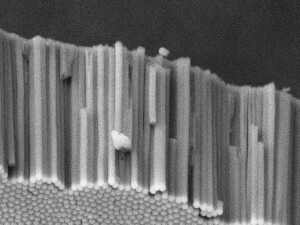 InRedox will also present another addition to Nanofab Tolbox – Templated Nanowire Array products. Lastly, our Filtration and Separation products based on self-organized nanostructured ceramics, will be highlighted at the exhibit. Material scientists use ATO in photocatalysis, energy conversion, graphene studies, cell culturing and UV induced super-hydrophilicity of TiO2. AAO is ever popular as a template for nanofabrication, as a platform for separation and transport studies as well as a uniform nanoporous support for graphene-based nanostructures. “Nanofabrication Toolbox” is a comprehensive selection of AAO and ATO materials (wafers, nanotemplates, films) and accessories designed to facilitate R&D and to shorten the “Discovery to Application” cycle. “Filtration and Separation” is a product line including nanoporous membranes, filters and hardware designed to enable precision size-dependent (1 to 200 nm range) separation and transport applications. Life Science Products—enable research and product development at the interface of life science, nanotechnology and microfabrication. InRedox’s full product line is available for shipment now and is accompanied by in depth technical support to help you reach your goals. Let InRedox nanostructured materials give you a head start on your research. Visit InRedox’ booth #407 to explore our products, meet our team and pickup a discount code for your next online order!